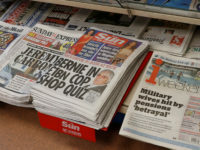 Press Gazette has scrambled the figures and found that print circulations across the UK regional press in the first half of 2008 make fairly grim reading this time around. The average year-on-year drop among the UK’s 88 regional daily titles was 5.2 per cent. That’s excluding the MEN which has rocketed its circulation by giving away more than half of its copies for free. Every single daily title lost sales year-on-year this time around. The picture among the local weeklies is a slightly rosier one. Some 38 titles put on sales this time around – some by prodigious amounts – proving that if you have the right editorial product in the right market, local weekly newspapers can still thrive. But around 350 local paid-for weeklies lost sales year-on-year. Overall sales in the weekly paid-for market dropped 4.9 per cent year-on-year from 5,010,499 to 4,794,886. Free newspapars are by far the biggest local press sector by circulation. 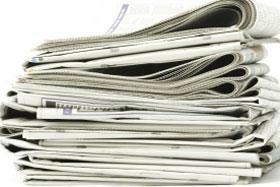 Their overall weekly circulation was slightly up year on year from 22,019,174 to 22,120,732. The ABC figures, grim as they are on the whole, do not reflect the huge increases in online readership being achieved across the regional press. 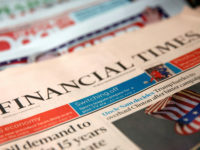 Local newspapers trade body, the Newspaper Society, said today: “Focusing purely on the ups and downs of a title’s paid-for print circulation no longer provides a meaningful measure of a local newspaper brand’s total reach. “ABC’s move to combined reporting will help to bring greater clarity for advertisers who are now, for the first time, able to see a regional title’s paid, free and pick-up print circulation figures all on one certificate.